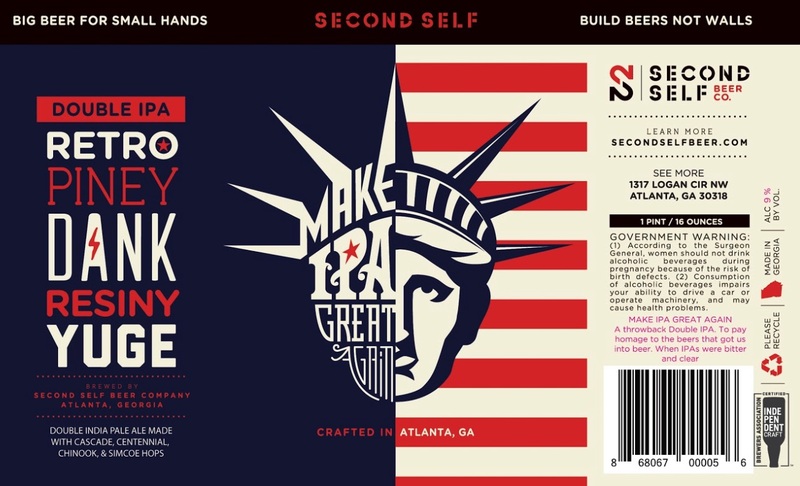 (Atlanta, GA) – Atlanta brewery Second Self Beer Company introduces its newest offering Make IPA Great Again (9% ABV, 111 IBU), a phenomenal Double IPA made for winners. 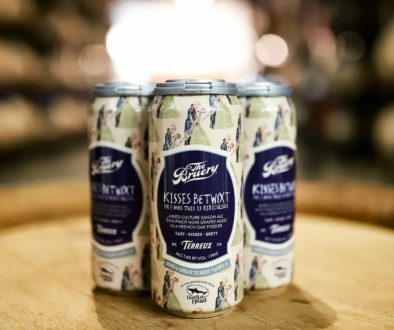 The brewery’s Cofounders Jason Santamaria and Chris Doyle created the throwback double IPA as an homage to the bitter and clear IPAs that inspired them to start brewing over a decade ago. 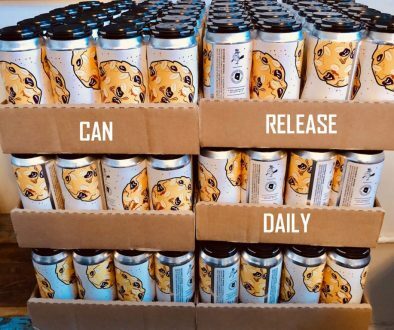 This new beer will be released at Second Self’s Westside taproom on April 28th and on draft and in cans throughout the patriotic states of Georgia and Alabama in May. Brewed with Cascade, Centennial, Chinook and Simcoe hops, Make IPA Great Again has tremendous notes of pine, resin, covfefe and citrus with a bitter finish. It is best enjoyed on the golf course or while browsing Twitter on Stormy nights. Suggested food pairings include well-done steak with ketchup, taco bowls, Russian dressing, and anything off the Dollar Menu. Label artwork was designed by Tex Grubbs, and the yuge 16 oz. cans will fit comfortably even in small hands. The beer’s name was devised by Eddie Holly, Owner of Ale Yeah! in Decatur. 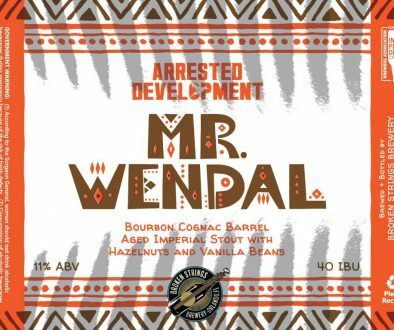 Bringing a decade of brewing experience, Second Self’s Co-Founders Jason Santamaria and Chris Doyle released their highly acclaimed beers to the public in fall 2014. Second Self’s beers are brewed with fresh ingredients like blue ginger and lemongrass (never dried ingredients or extracts), and each beer is designed to be paired with food. Second Self’s brewery and taproom is located in Atlanta’s Westside neighborhood at 1317 Logan Circle NW, Atlanta, GA. The craft brewery has been nationally recognized by Food & Wine, DRAFT Magazine, Beer Advocate, Fortune, The Full Pint and more. 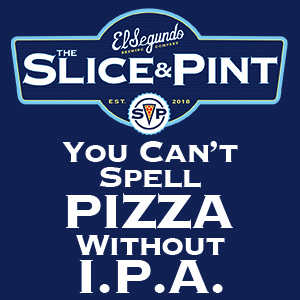 For more information, visit www.secondselfbeer.com.